I have a problem. It's a serious problem, one that has cursed my thighs and waistline since I was five. I am Robin King and I am an ice cream-aholic. There. I said it. I love ice cream. Cones, sundaes, shakes, with or without toppings, it doesn't matter. I love it. 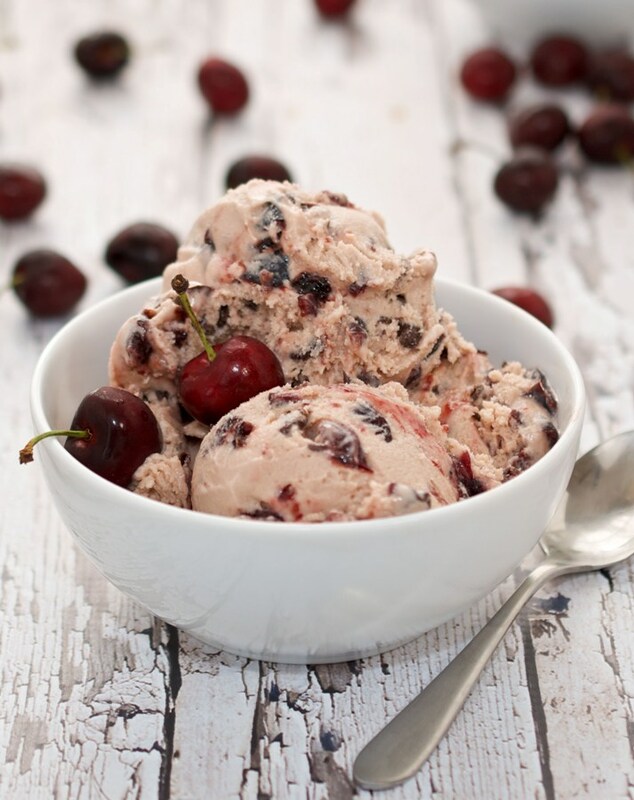 My favorite ice cream of all time is HOMEMADE! My problem is so bad that I currently have 3 different ice cream makers and I'm always on the lookout for another. in The Golem and the Jinni (source). 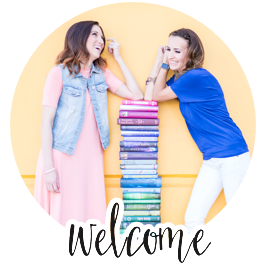 Luckily, our Delicious Reads book this month, The Golem and the Jinni by Helene Wecker, gives me the perfect excuse to pull out my ice cream makers and gain a few pounds. 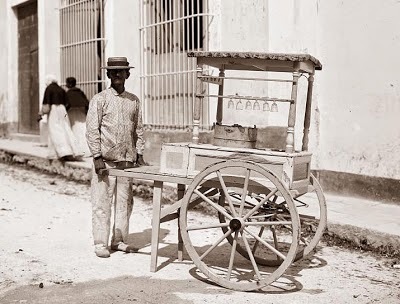 One of the characters in the book, Mahmoud Saleh is an itinerant ice-cream vendor in 1899 New York. An old-fashioned wooden ice cream churn like Saleh used in The Golem and the Jinni (source). Since I've been around the block a few times when it comes to homemade ice cream, I'm going to give you my best kept SECRET to the perfectly creamy homemade ice cream. It's not the mixer. It's not the cream or sugar. It's not the milk or the vanilla. It's the . . .
Now I'm not talking about the pinch of salt that you add to the actual ice cream. 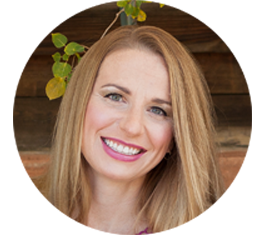 I'm talking about the ROCK SALT that you use with your ice in your ice cream maker. The salt isn't as important as how you use it. 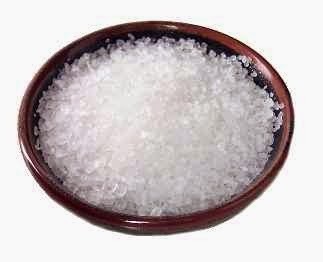 In fact, to save money, I buy one of those big 50 pound bags of water softener rock salt for about $5 and keep it in a 5 gallon bucket. It keeps for years and you don't have to worry about how much you use. Because the real key to homemade ice cream is all about using A LOT of rock salt. All of you science geeks out there know that the reason we use rock salt is to lower the freezing point of the ice to freeze the cream. Now every ice cream maker is a little different, but here is my rule: for every 3 inches of ice, add 1/2 cup of rock salt. Just keep layering until you reach the top of your canister, but don't cover it. 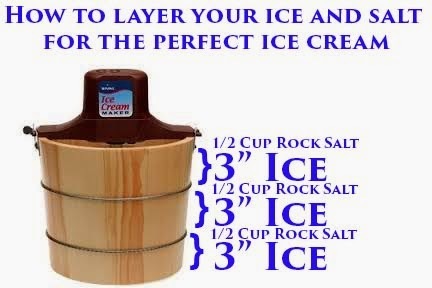 If you pack the salt and ice correctly (and add a layer as the ice melts), you should get perfectly creamy ice cream in 30-45 minutes for a 4-6 quart canister. Just follow the instructions that come with your ice cream maker!! If you want ice cream that works for a cone, don't forget the RIPENING & HARDENING STEP. This just means that you remove the beater, put the top back on, cork/plug the hole at the top, put more ice and salt around the canister, and cover with a towel. Now you may be thinking this all sounds a bit complicated, but once you've done it once, it is super easy and fun. And yummy! But, Robin, you may be asking, what about for those of us that are too scared or lazy to use ice and salt. Can we still enjoy homemade ice cream? Why, yes. Yes, you can. 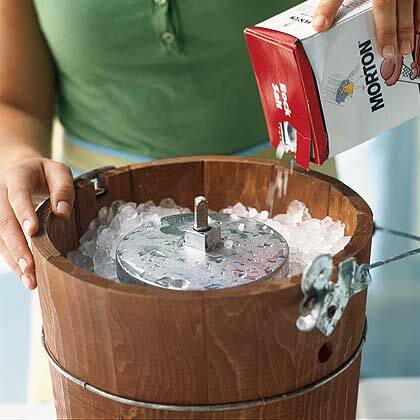 In fact, one of my favorite ice cream makers is a 1.5 quart ice cream maker that requires no ice or salt. The bottom part stays in the freezer until you are ready to use it. It has a special solution that freezes perfectly every time. All you have to do is put in your ingredients. It is ready in 20-25 minutes and makes enough for 2-3 people. 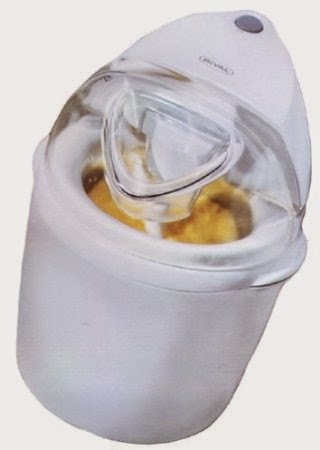 My favorite no-ice-no-salt Ice Cream Maker! So what is my secret for using an ice cream maker like this? Use the instructions that comes with it!! I have found that if I use the recipes that come with my maker and follow it to a T, the ice cream is perfect every time. Now pull out that ice cream maker (or borrow one) and make at least one batch of ice cream this summer. Your spouse will thank you, your kids will lick their bowls, and your waistline, well, it will keep you warm in the winter.